Ravello, Italy was one of my favourite places on our recent trip to Italy. 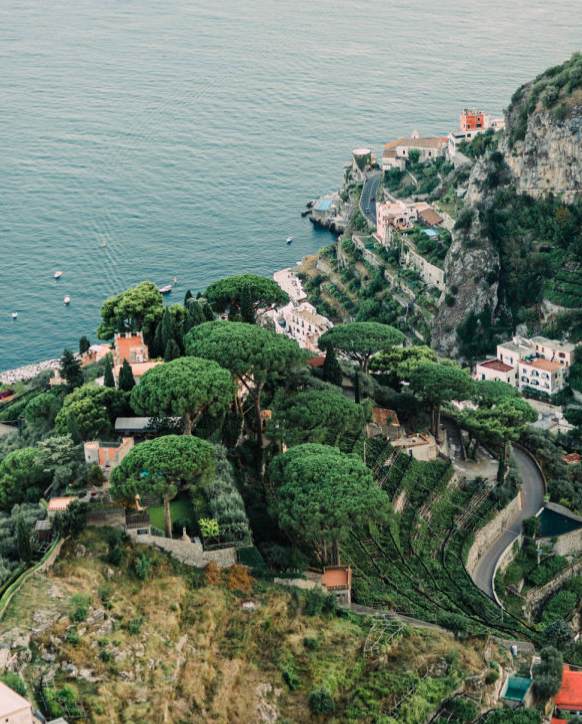 High up on the mountains over looking the Amalfi Coast, this 5th century town is straight out of a fairy tale and scenic beyond belief. It’s hard to dream up a more romantic setting to get married. Our show stopping beauty of a bride Ishra, came into Rituals looking for a gown and veil for her elopement to Travis. She chose a Ivory lace open back Rosa Clara wedding gown with a lightly beaded bodice. 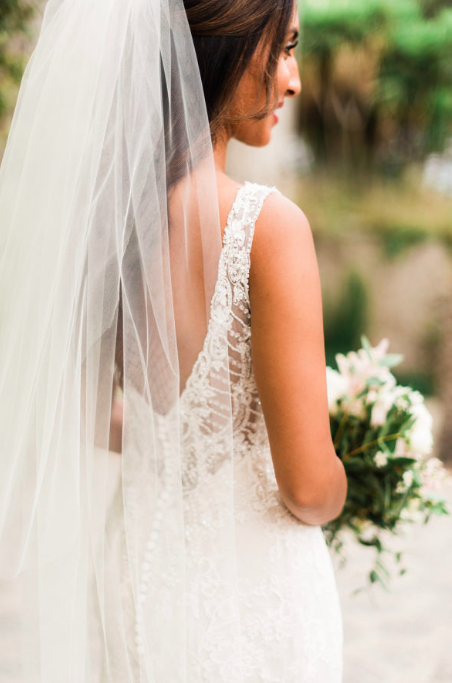 She wore a Jane Rhyan Collection veil to follow her like a dreamy halo throughout the day. 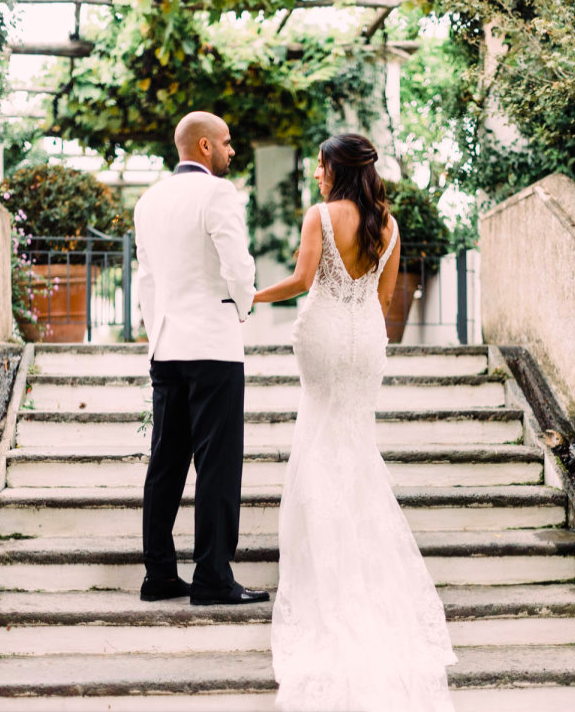 This stunning couple, these photos and the dreamy Belmond Hotel will literally take your breath away. For more photos captured by Lace & Luce and a video that will make you tear up, please check out the full story here on Style Me Pretty. 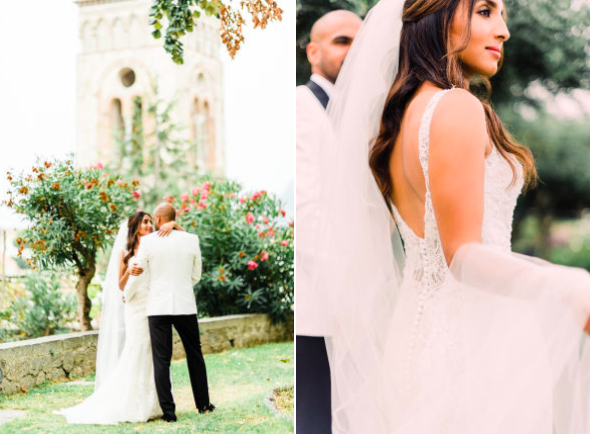 Ishra, decided on our fitted Ivory Chantilly Lace Rosa Clara Acuraio gown with light beading around the bodice and sheer delicate detailing on the open back. Her gown couldn’t suit this Romantic venue more.